VAT in the UK is a sales-based tax, which is designed to target the end consumers and non-VAT registered businesses. VAT registered businesses are required to charge their customers VAT on their sales (usually 20%) and pay it over to HMRC. They will also be entitled to a reimbursement from HMRC for any VAT they’ve paid out to their suppliers. This means that if they’ve collected £200 in VAT from customers but paid out £40 in VAT to suppliers, then they’d need to pay £160 over to HMRC. The UK has a mandatory VAT registration threshold of £85k, this means that if you looked at what your business turnover (sales) was in the last 12 months and it was greater than £85k, then you would have to register for VAT. It’s really important to remember that this calculation is done on a rolling 12-month time period and not the tax year or company year, this has caught many people out in the past, so you’ll want to create a simple system where you can log and monitor your sales every month. Even if your turnover is less than £85k it’s still possible to voluntarily register for VAT, but why would you want to do this? Well if your customers are VAT registered businesses themselves then they aren’t going to care whether or not you’re registered as any VAT you charge them can be recovered from HMRC as part of their own VAT return. On the other side of that, you’ll be able to recover VAT on your costs which means that you’ll have kept your sales the same but lowered your outgoings which would improve your profitability. And, when wouldn’t you? If you run the type of business that mainly sells to consumers who aren’t VAT registered, then adding VAT might make your pricing uncompetitive or you may have to keep your prices the same but pay the VAT yourself out of your margins. Some people try and split their business to avoid registering for VAT but this can be very risky unless it’s done in the right way, always seek professional help! VAT is usually calculated quarterly although it is possible to do monthly and annual VAT returns. This means that it’s important to keep your business records and bookkeeping up to date, especially as software like Xero can give you an idea of what your VAT bill will be mid quarter. VAT payments are usually done on a quarterly basis, and you get approximately 6 weeks after the quarter end. For example, if your VAT period ended 31st December 2018, then your VAT return would be due on the 7th February 2019 and the payment would be automatically collected via direct debit on 11th February 2019. It’s worth noting that the returns are always due on the 7th and payments on the 11th of the month after the following (approx. 6 weeks). There’s two main ways to calculate VAT and each one has its pros and cons. There’s the cash basis, which is done on the cash transactions in and out of your bank account, then there’s the accruals basis which is calculated on what you’ve invoiced or the invoices you’ve received from suppliers. 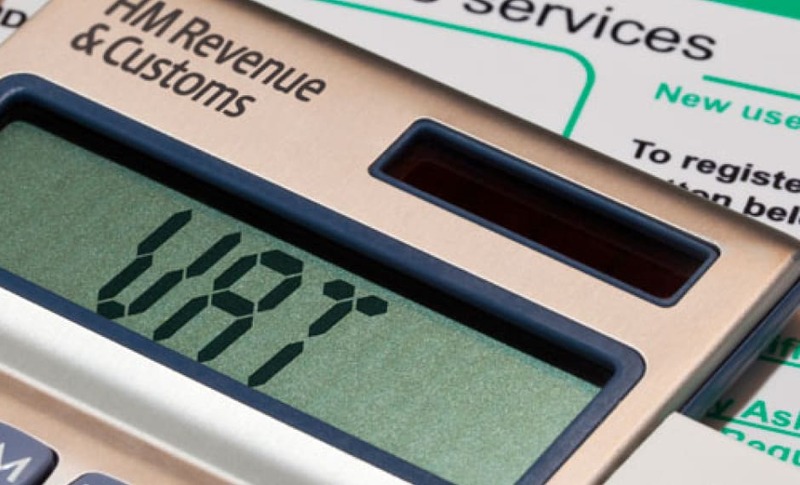 If you run the type of business where you have payment terms with your suppliers, but your customers pay straight away, then the accruals scheme would work best for you as it will mean that you’ll be able to reclaim VAT sooner than you would have on the cash scheme. On the other hand, if your customers take their time to pay but you pay your suppliers straight away then the cash scheme would be better as you won’t have to pay the VAT until you’ve been paid. You may have heard of the Flat Rate Scheme (FRS) for VAT, which was designed by HMRC to simplify VAT for small businesses, but as an unintended consequence led to substantial tax savings for some businesses. The idea behind this optional scheme was that businesses would be divided into industrial categories and be given a percentage, for example 12%. They would continue charging their customers VAT at 20% but they’d only have to pay it over to HMRC at the reduced rate. The sacrifice is that a business on the FRS wouldn’t be able to recover VAT unless it was a large capital expense worth over £2,000. Because of the industry averages that are used to calculate the FRS percentage, there would be winners and losers on this scheme although if it’s not financially worthwhile you could always stick to the standard scheme. Since April 2017 there has been a new category of 16.5% introduced for businesses that are predominately consultancy based and don’t have material costs. This means that the FRS isn’t as useful as it used to be, but it can still worth considering. When you first register for VAT it’s possible to reclaim VAT for any equipment or stock you’ve purchased in the last 4 years as long as it’s still in the business, as well as any services you’ve paid for in the last 6 months. VAT tends to be the area of tax where the most enquiries happen and that’s why it’s important to keep your records in good order. Unlike the requirement for corporation tax where it’s recommended you keep records for the last 4 years, with VAT it’s recommended you keep them for 7 years as enquiries can generally go back further.